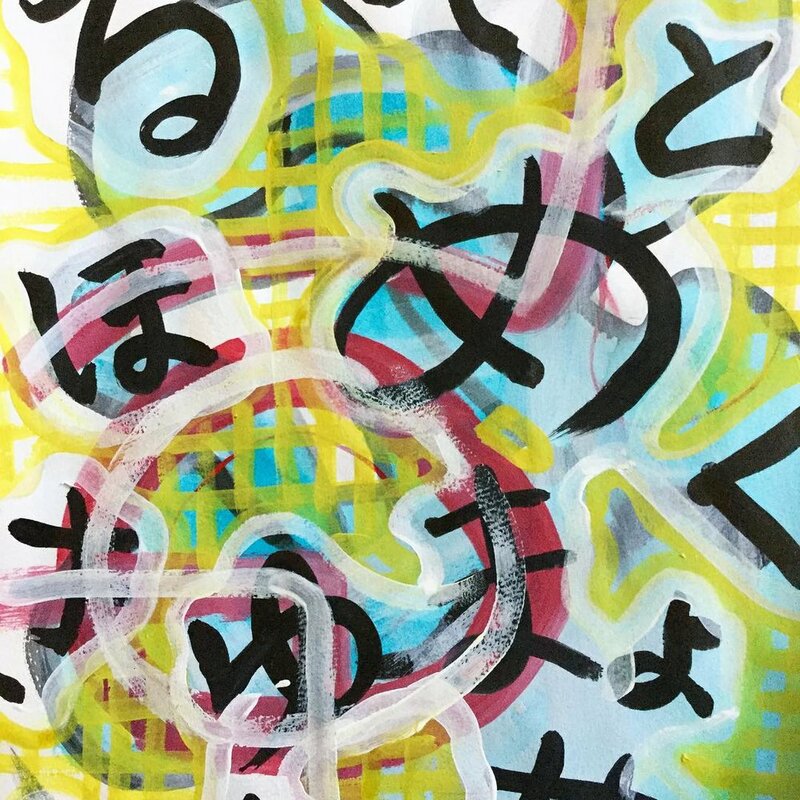 I sat down with Miwa Neishi, a Japanese artist based in Ohio, to talk about her works blending two ideas of writing and typography. A series of paintings by Miwa caught my attention as she shared about her upbringing and her story coming to America. Painting is not the only way Miwa is breaking tradition and formalities. She created works in ceramics to see what can be created beyond cups and dishes with the medium. “I want to break the mold of tradition and what can and cannot be done. To me using ceramics is a test to interpret the medium in a modern way. It actually reminds me of jazz. Jazz musicians are constantly interpreting music in their own unique way. 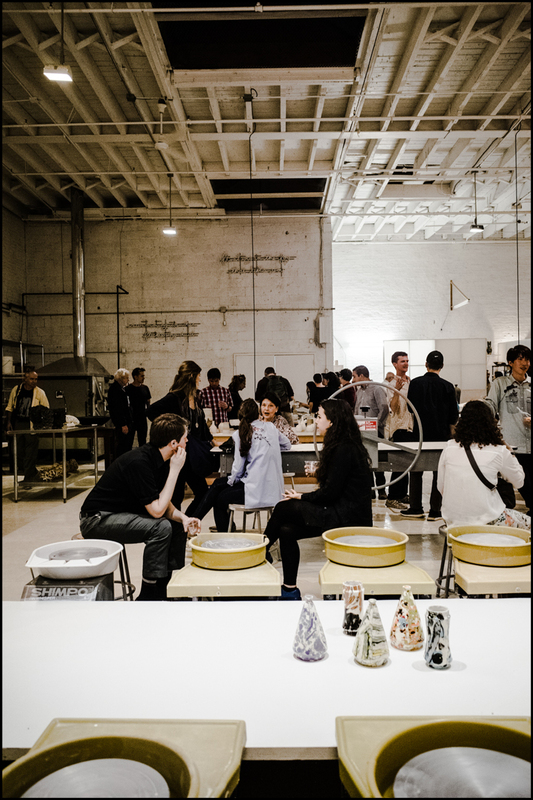 It’s highly personalized and improvisational.” Miwa showed me around Sculpture Space, an open ceramic studio in Long Island City. The studio was holding a member’s show and Miwa introduced me to some of its members, from freelance artists to teachers with a single interest of learning and honing their craft in ceramics. 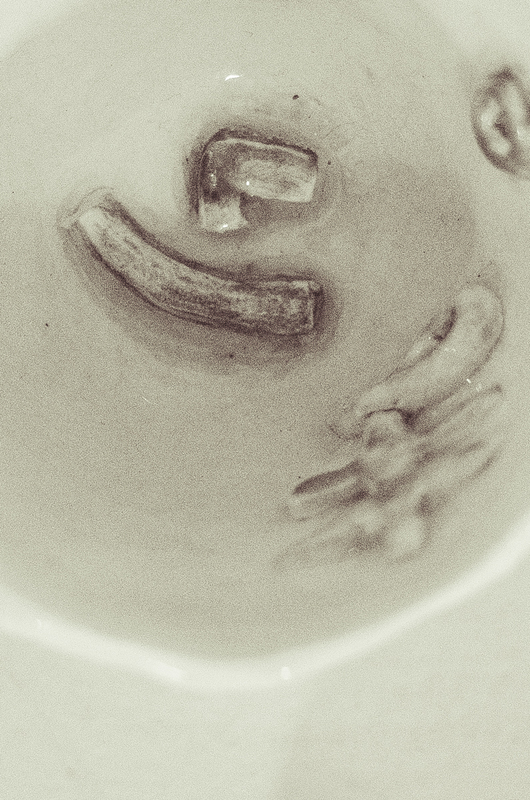 ‘Kana Cups,’ Miwa’s series of ceramic-based works blended the shapes of Japanese letters with ceramics as medium. A mug created by Miwa was painted with polka-dots and a large hiragana character fused onto the side. Her other works included cups and bowls looking like the underside of mushroom caps with Japanese characters set onto the ceramic pieces. Blending calligraphy with graffiti to using ceramics to turn them into more than just simple bowls and furnishings, Miwa's works use history and tradition as guides to interpret and push the boundaries of her artwork. Outlines of letters and characters are interpreted into shapes made from ceramic giving an interactive approach to her artwork. The free-form silhouette of graffiti becomes translated into her paintings producing works that go deeper than its influences. By blending history and the artists's imagination, the art slowly transcends its predecessors. Like Ruth Asawa's interpretation of traditional wire baskets that inspired her renowned wire sculptures Miwa focuses on keeping history by bending its intentions, reminiscent of Jazz Standards that is reinterpreted over and over, producing something wonderfully different with each iteration. Sep 30 Photographing the shadows of Korea's past.